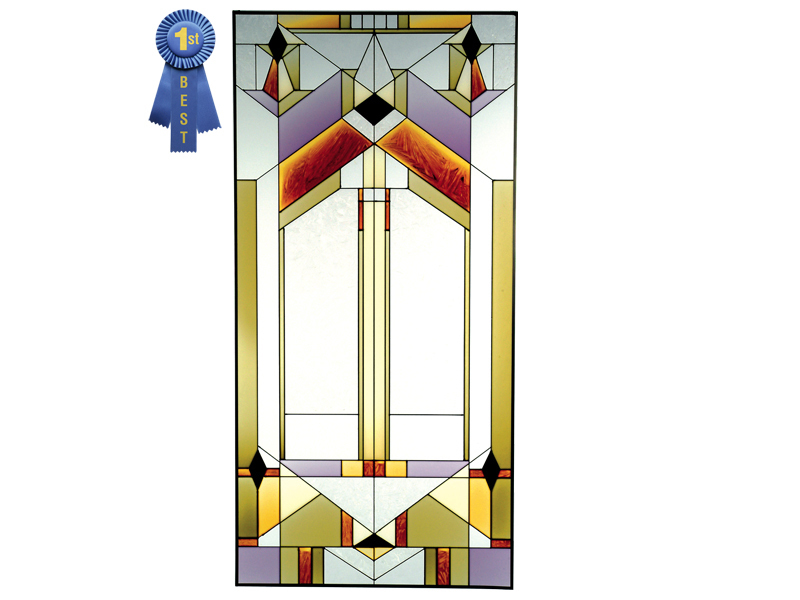 "Deco-Tectural Stained Art Glass Suncatcher" Radiant colors and striking architectural interest make this geometric art glass panel an absolute favorite among decorators! This panel is meticulously hand-painted in frosted, translucent, and crystalline lacquers. Zinc-framed, this impressive grand panel is vertical in format and measures 20.5" wide x 42" high. It features two soldered metal rings along the top for hanging. FREE Chain Kit Included!!! Made in the USA by Silver Creek.